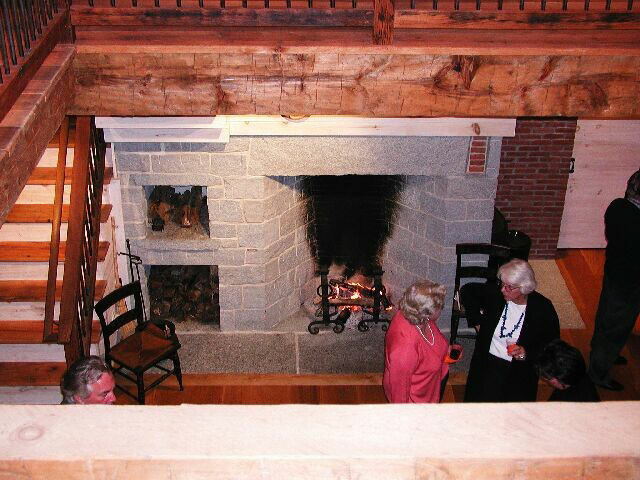 The "small" brick "Rumford", (perhaps I should say "psuedo" Rumford), has a very slight tip forward after a few courses of brick laid straight. As you can see by the smoke trail, it works, so I can't argue with that. 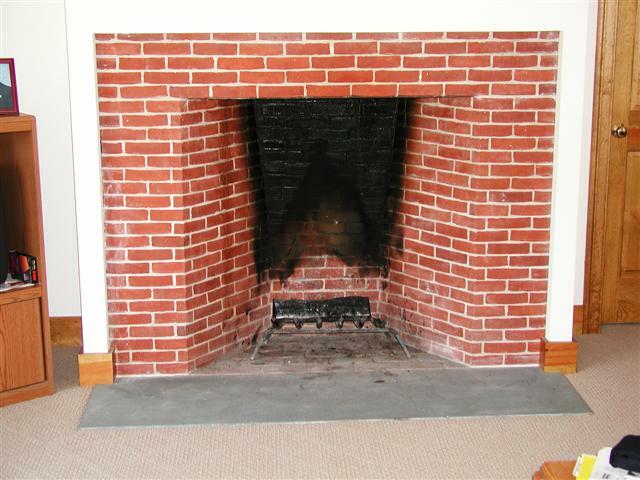 I use exclusively Morin Red Restoration Brick for all my brick fireboxes. They are made in Lewiston, Maine and have held up wonderfully with no complaints. 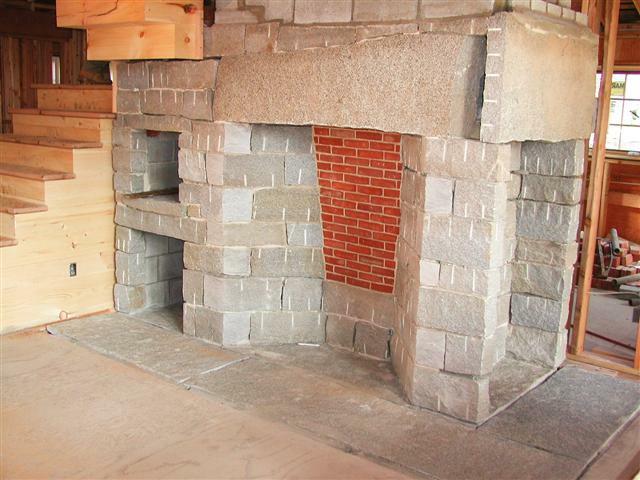 They are a solid brick so I can cut the firebox angles without a "frog" showing. I absolutely abhor fireboxes that are made without angled cheeks, unless it is a reconstruction of a very early firebox that had square cheeks, as in, original. On the cover of this months "This Old House", has a picture of a firebox that starts with square cheeks. (I don't usually use words like "abhor", but in this case it fits). I don't use Superior Clay Rumford throats although I am sure they are quite capable. I use tip & slide dampers, and build my own throats with brick. I use galvanized diamond lathe and ChamberTech 2000 to "streamline" the throat. Never had a problem. I've lain on the floor and watched many a fire in fireboxes I've built. 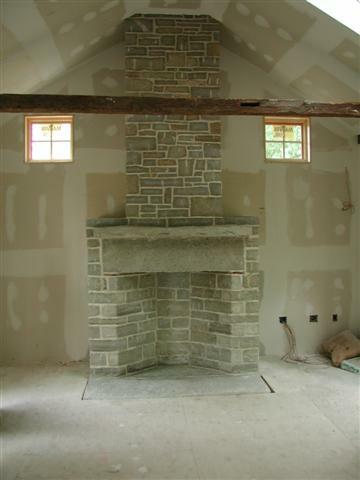 I've read Ortons' book on Rumford fireplaces, the stuff I build is based on that although, as in any manufacturing process, the design process is in constant developement. Personally, I like the way a slant back firebox looks. There just something about it. I don't care if I might be losing x amout of btu's, (maybe I'm not? ), if I like it, if the customer likes it, and it works, it's a win/win. There was a party at the house in Darien this past Friday. Here's another picture for you. That certainly is a nice article, as well as a great honor to get on the cover. Congratulations! I'll bet your phone is ringing off the hook. Now that you're famous, tell me a little more about your Rumfords: The one on the cover has a sloped back and I wonder if it's an Orton style Rumford (see http://www.rumford.com/articleOrton.html ) rather than an original Rumford with a straight back and rounded breast like ours. The "small" brick Rumford at http://www.rumford.com/images/BishopRumfordsm.jpg also appears to have a slopped fireback but the "stone" Rumford at http://www.rumford.com/images/BishopRumfordstone.jpg has a straight back. Are you following Orton's design recommendations, reading Rumford's original essays, using the Superior Clay components, or something different? You do very nice work and I appreciate your sending me all these pictures and letting me know about the House Beautiful article. 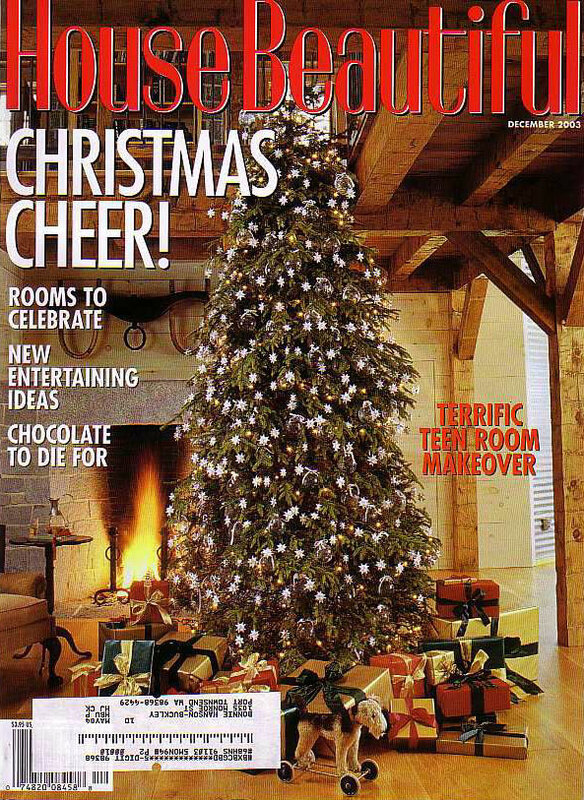 Thought you might like to know that the "unfinished Rumford" on my web page has made it on to the cover of "House Beautiful", December issue.